Product categories of Body Heating Pad, we are specialized manufacturers from China, Body Heating Pad, Heating Pad For Body suppliers/factory, wholesale high-quality products of Heat Patch For Body Warm R & D and manufacturing, we have the perfect after-sales service and technical support. Look forward to your cooperation! For winter sports enthusiasts, hand warmers can mean the difference between calling it a day early and playing outside for as long as possible. 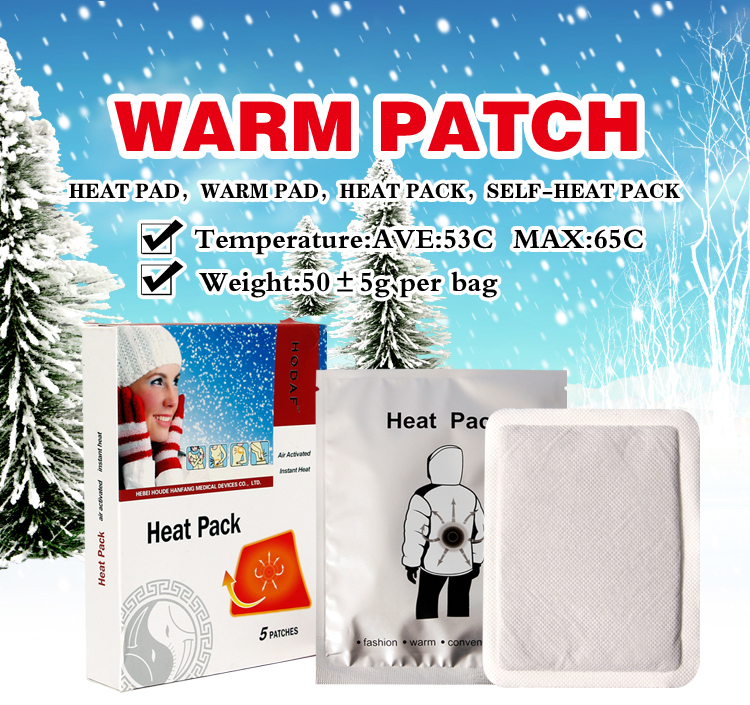 In fact, anyone who braves cold temperatures might be tempted to try the little disposable pouches that emit warmth within seconds of being exposed to air.Houde Hanfang Medical Devices Co.,Ltd is a professional health care and beauty care patch /pad manufacture ,wholesaler and exporter ,Our main product includes Foot Patch ,Slimming Patch ,Pain Relief Patch ,Herbal patch ,medical dressing and so on !We have top-Production line ,Well-developed scientific and modern testing equipmente gained certificate FDA,CE,ISO,MSDS . We also cold produce all kinds of patch according to custemers requirment !